Anyone who works in loss prevention knows that the majority of losses from theft aren’t a result of kids stealing a candy bar, but rather the result of Organized Retail Crime (ORC) syndicates stealing specific goods to sell on the black market for the purpose of profit. The main perpetrators involved are the professional shoplifters, often referred to as “boosters” and the receivers of the stolen goods, are referred to as “fencers”. The receiver can be the end consumer, or a middleman running an illegal enterprise. We know it’s deliberate, organised and at times aggressive, but why are offenders going to such lengths for certain products? What makes a hot product? 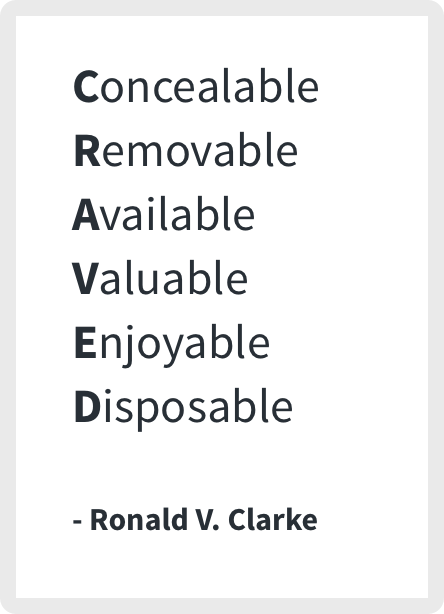 Ronald V. Clarke created the useful acronym “CRAVED”, which stands for "concealable, removable, available, valuable, enjoyable and disposable." In loss prevention circles this best describes a hot product, and why its classified as such. The demand for hot products, and more specifically hot brands of products creates an opportunity for criminal enterprise. It seems from the perspective of brands, if your brand is being targeted by ORC syndicates, perhaps you are doing something right. But brands need to find ways to support their retail partners in disrupting this criminal enterprise so their products are bought through legitimate channels, otherwise retailers may be forced to review their position. In this deep dive into understanding the black market behind a particular hot product and hot brand within that product category we'll delve into where, why and how they have become the target of illegitimate activity. We've selected a desirable white powder that is being trafficked across the world - baby formula. Yes - it’s become an epidemic. Baby formula is estimated to be a $70 Billion dollar market, with the Asian region making up close to 50% of the global demand. According to a report on ‘China Infant Milk Powder Industry Overview, 2017-2021’, as China's economy grows, more Chinese women are joining the workforce, leading to a continuous decline in the rate of breastfeeding of infants in China. The rate decreased from 67% in 1998 to 49% in 2004 and then to 27.8% in 2015. Relaxation of the family planning policy in 2013 has also resulted in an increase in birth rates. Local baby formula manufacturers have been found to use low-quality materials or add illegal ingredients to reduce costs. Food scares such as the scandal in 2008, which left six children dead and more than 300,000 ill have led the Chinese government to reinforce increasing regulations on the baby formula industry, but dented confidence in locally produced products are driving a high demand for baby formula products from reputable foreign brands. Online marketplaces and the ability to shop from overseas retailers are making it more convenient and accessible to buy foreign baby formula. 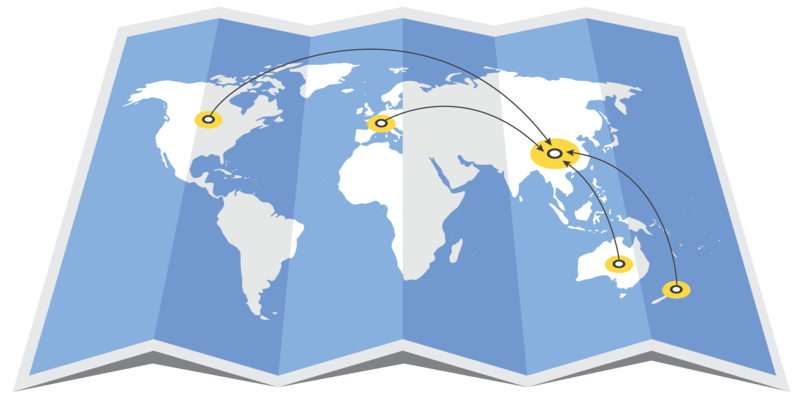 All these factors combine to result in a large demand in foreign baby formula products from Australasia, North America, and Europe. Baby formula retailing for A$35 is being resold in China for A$100. The South China Morning Post published an article on 16 May, 2018, reporting that baby formula retailing for A$35 in Australia was being resold in China for A$100. Customers were clearing the shelves and selling the product online in China. A major Australian supermarket experimented with restricting sales to two tins per customer following complaints from worried parents over supplies. As a parent loyal to a particular brand like A2 Premium Infant Formula, imagine then, running out of baby formula, rushing down to your local store, only to find the shelves empty of the brand you usually buy. Empty shelves of highly emotive goods not only hurts the retailer but also the brands themselves - if you can't get access to the product when you need it most why continue to show loyalty? As reported by South China Morning Post. The market factors above sheds some light into the reasons behind high demand for baby formula. It’s this very demand that have attracted ORC syndicates to target baby formula making it one of the most stolen retail items. With boosters able to conceal and remove multiple containers in each spree, and receivers available to easily dispose of the valued hot products quickly for cash, it’s no wonder why on-shelf availability is the only matter limiting their profiteering. There is no silver bullet to stopping ORC and theft. Often a combination of initiatives are required to get sustained results. The LPRC have created the framework "See it", "Get it", and "Fear it" to measure the effectiveness of various initiatives. Some initiatives may deter some shoplifters, but not others. In a recent ORC bust, a customer recovered over $250,000 of baby formula packaged to be shipped to Asia. Much of the product still had the security lids attached, designed to deter them from being stolen, but clearly not deterring this ORC syndicate. Despite the myriad of security initiatives used to combat ORC, many retailers continue to struggle with preventing further offences. Fortunately, there are some successful cases emerging that are turning the tide. 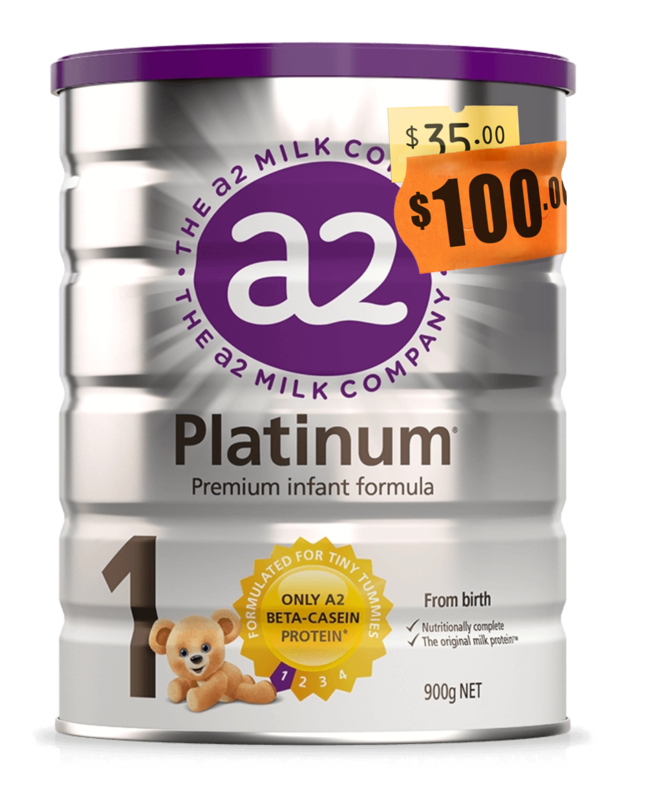 One major Australian supermarket has been struggling to keep popular baby formula brands on their shelves. The need for change became so compelling that they collaborated with law enforcement to identify and disrupt ORC by targeting receivers. They have now developed and refined a repeatable, reliable, ROI driven methodology to tackling ORC. As long as the market conditions driving demand for premium baby formula remain, it will continue to be a hot product. But new initiatives are emerging to ensure infants needs are satisfied well ahead of those who seek financial gain.